We are based in Durban, Kwa- Zulu Natal, South Africa, ScubaXcursion is situated at the Cutty Sark Hotel and is a mere 20m away from the ever popular Scottburgh Beach. Trips to the world renowned Aliwal Shoal are done daily. These trips promise new and exciting adventures on every dive. We pride ourselves on being a family friendly dive centre. Try- Dive sessions are done daily in our onsite swimming pool. This allows your children to have the experience of underwater breathing in a safe and controlled environment. Here, at ScubaXcursion, we believe in making you top priority. 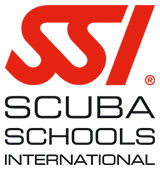 We are a registered SSI Instructor Training Centre and we offer regular diving courses ranging from Open water to Instructor with various specialties. These diving courses which are given at our Training Facility with Multi Media Equipment, are designed to be fun and enjoyable, yet safe and professional. All courses offered by ScubaXcursion is internationally recognised. Our services include; Daily scuba diving charters to Aliwal Shoal and surrounding areas, Scuba Gear Rental, Dive Training & Equipment sales. Our knowledgeable dive-masters and well-experienced instructors are sure to make your underwater experience with us, one you will never forget. Our shuttle service is available to pick up customers from Durban hotels and King Shaka International airport and transfers them to Scottburgh which is the departure location for your Diving adventure on Aliwal Shoal. ScubaXcursion is your one stop dive shop..
Come and visit our Dive Shop for all Scuba Gear and accessories. Scuba Gear Rental facilities also available. Our Clients arrive as customers and leave as friends, come and experience it for yourself.